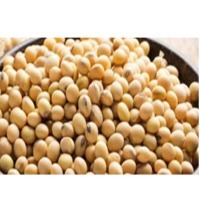 Browse soybean-seeds suppliers by country and region. Short on time? 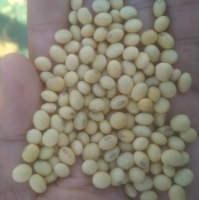 Let soybean-seeds sellers contact you. Pulses, beans, green moong, kabuli chickpeas, red kidney beans, red speckled kidney beans, light speckled kidney beans, soybeans, yellow kidney beans, natural sesame seeds, sunflower seeds, red sorghum. Beans and pulses, coriander, turmeric, black cumin, ginger, coffee, soybean, green mung bean, desi chickpeas, groundnut, castor seeds. Amafu Stock Pty is engaged in manufacturing, Processing, exporting and supplying the finest quality Soybean Meal. The Soybean Meal, we offer, is processed using quality Soybean by adopting quality methods by high tech machineries & experienced Staff. 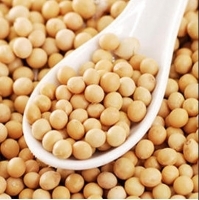 The Soybean Meal, we offer, is widely demanded for feeding animals due to the rich nutritional content. The clients can avail the Soybean Meal from us in varied quantity packs. Soya Bean Meal - Soybeans are an important global crop, providing oil and protein. The bulk of the crop is solvent-extracted for vegetable oil and then defatted Soya meal is used for animal feed. Soybean meal is the product remaining after extracting most of the oil from whole soybeans. The oil may be removed by solvent extraction or by an expeller process in which the beans are heated and squeezed. The protein content of the oil extracted soybean meal can vary from 46 to 49% depending on origins of seeds and process. Protein : Min. 48% Oil : Max. 1.5% Fibre : Max. 6% Moisture : Max. 12% Sand/Silica : Max. 2% Origin: South Africa Inspection: SGS or any other agency as per your requirement. Minimum Quantity: 100 MT in 20 FT Containers Packing: 50 Kg PP Bag Load ability: 18 MT in 20 Ft Container Mode of Payment:50% Advance at the time of Confirming the Order through T/T and Balance 50% at the time of Fax Copy of B/L. Delivery: Within 20 days from the date of receipt of payment. Granite, pine wood, wood pellets, charcoal, shisha charcoal, BBQ briquettes, pini & key briquettes, furniture, butter, canned food, baby food & water, flour, sugar, sunflower oil, beef, pork, candies, croissants, sweet snacks and snacks for bear, wafer, wafer rolls, wheat, soy, cornflakes, crispy muesli, corn pillows, toilet paper and napkins, sunflower seeds, wheat bran, corn (granulated, fur).